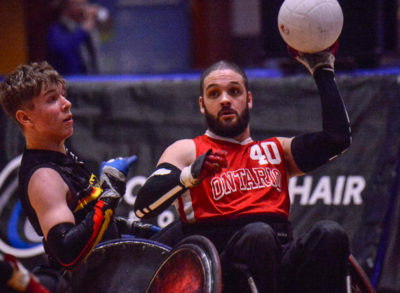 March 15, 2019The Ontario Thunder (Division 1) and Portland Pounders (Division 2) both added another title to their collection as the Vancouver Invitational came to a close on Sunday. 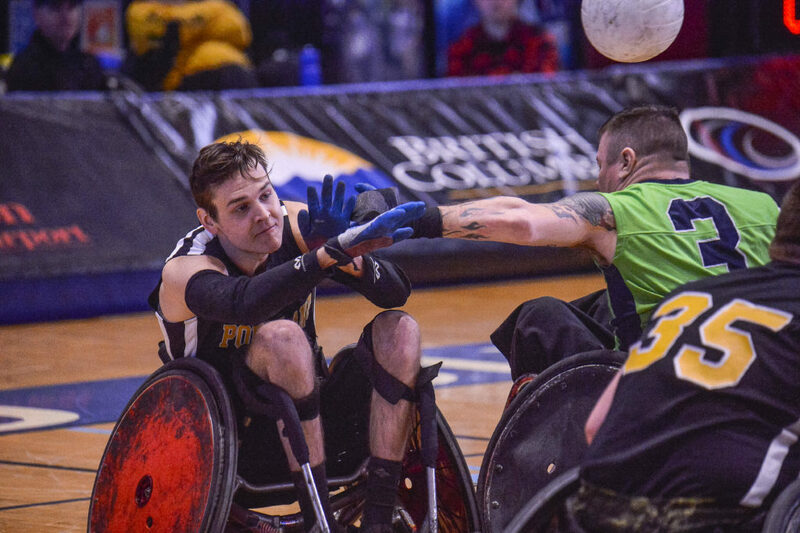 The Ontario Thunder (Division 1) and Portland Pounders (Division 2) both added another title to their collection as the Vancouver Invitational came to a close on Sunday. Back-To-Back for the Ontario Thunder! The Ontario Thunder won their 2nd consecutive Vancouver Invitational title and finished the tournament undefeated following a close 58-56 victory over the Lightning in Sunday’s all-Ontario clash. 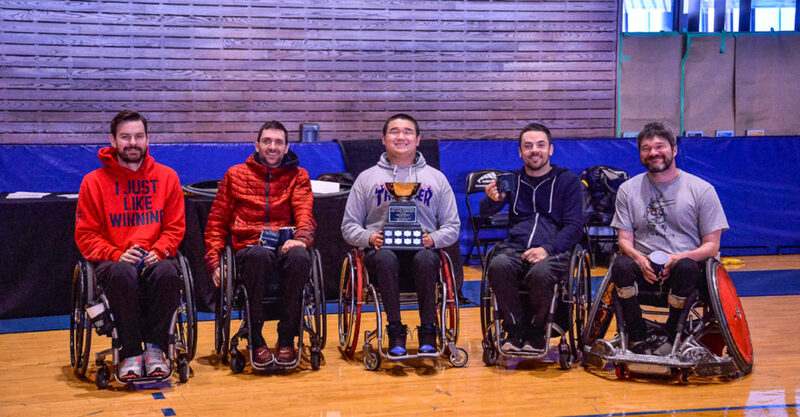 Thunder defender Patrice “Pico” Dagenais took home this year’s MVP honors following a fantastic tournament. 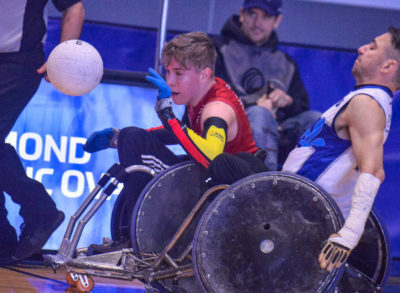 Quebec finished in 2nd after a 54-40 win over Team BC, and Alberta powered their way into 3rd place with a 67-59 win over Germany in a high-scoring and fast-paced match to close the tournament. The Portland Pounders are D2 champs after defeating the Seattle Slam 50-42. Portland’s attacking trio of Justin Beaver, Jake Wheeler, and Seth McBride proved to be too tough for Seattle to stop in the victory. The Pounders now have a D2 title to go with their seven D1 victories and Pacific Northwest bragging rights heading into their home tournament in April. 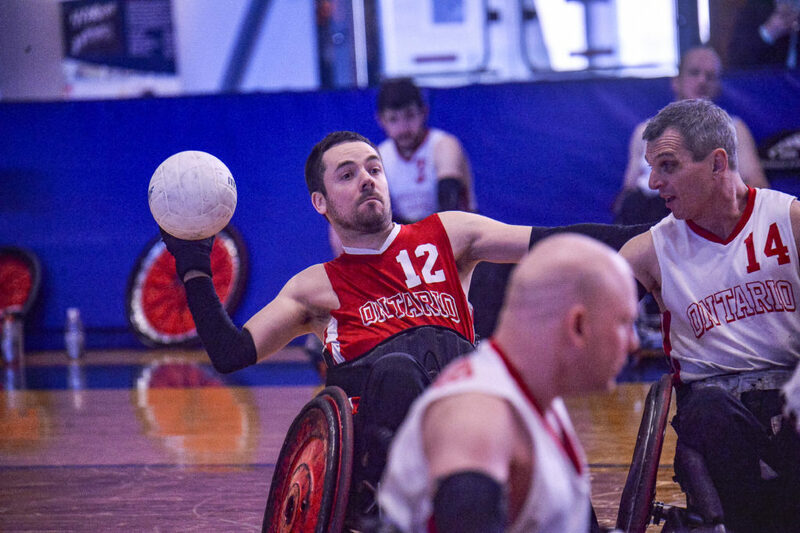 In the 3rd-place match, BC Development won 44-32 over the Alberta Bighorns for their win of the tournament. 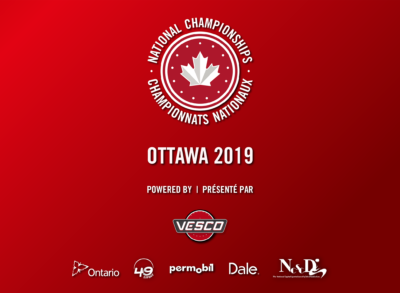 Both squads used their whole bench as they worked to fine-tune line-ups ahead of this summer’s 2019 National Championships-Powered by Vesco, in Ottawa. The Vancouver Invitational Wheelchair Rugby Tournament wouldn’t be possible without help from our incredible supporters: the Government of British Columbia, Wheelchair Rugby Canada, Richmond Sport Hosting , Richmond Olympic Oval, Sheraton Vancouver Airport, Postmark Brewing, viaSport, Boston Pizza Ackroyd, CLIF BAR, Pomme Natural Market Port Coquitlam, Save-On-Foods, PriceSmart Foods, Nando’s Garden City, Murphy Battista LLP, ChairStuff and Ceilli’s Richmond. A huge thank you also goes to all of the hardworking volunteers who made the 2019 Vancouver Invitational a great success.